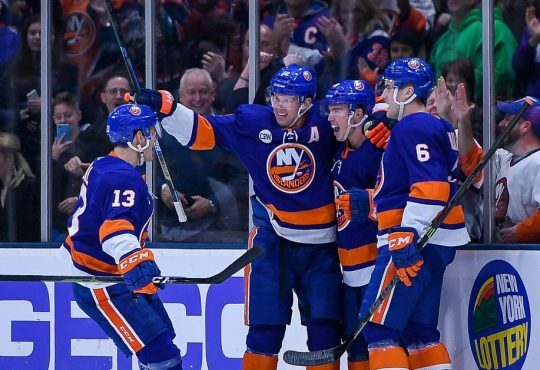 With the holiday season in full swing — and Christmas one week from today, the New York Islanders are getting one huge present, which is the next four straight games on home ice where they hold a record of 10-2-2. The four games are the ending of a seven-game stretch, where six of the Isles scheduled games in Brooklyn. And after Saturday’s come from behind victory, New York is 2-1-0 in three games at home from the week prior. This week, New York has three games on tap, and all of them will have a crucial effect on where they stand when Santa Claus makes his go-around Long Island and the rest of the world. 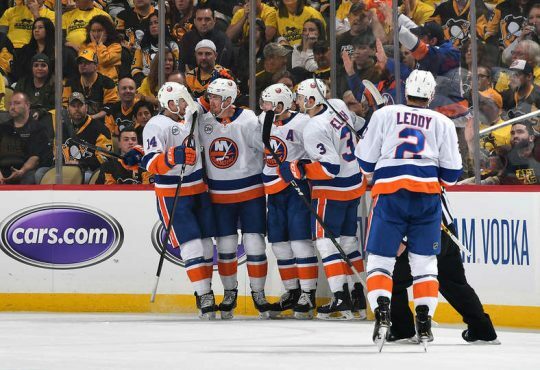 Tomorrow evening, the Islanders will welcome the Detroit Red Wings to Barclays Center for the first of three matchups this season. Jeff Blashill’s club took two of three from the Islanders last season, with two of the three contests being decided by one goal. These two teams will meet for a second time in Brooklyn on February 9th, and they will face-off at the brand-spanking new Little Caesar’s Arena on the last day of the regular season. New York and Detroit are in completely different worlds with the seasons they’ve had. The Wings are floundering at the bottom of the Atlantic Division, while the Isles fighting tooth and nail for a top three-spot in the Metro. Both teams have had one similarity, and that is so far this year, neither have been able to determine who is their true starting goaltender — Detroit with Jimmy Howard and Petr Mrazek, and the Isles with Jaro Halak and Thomas Greiss. Matchup to watch: New York’s scorching hot offense against the Wings spotty defense. Detroit is ranked 24th in goals-against league wide, while the blue and orange are number two overall in goals for per game, tallying another four-spot last weekend. 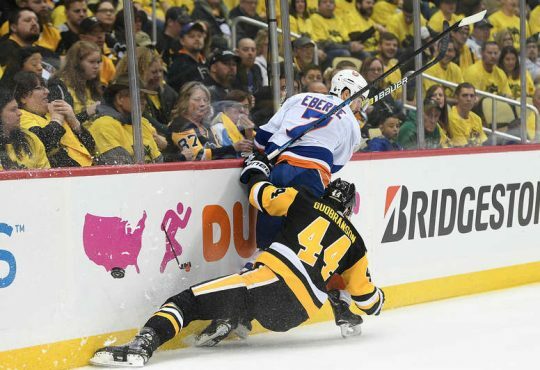 The Islanders homestand continues Thursday night, when the always rough-and-tumble Anaheim Ducks pay a visit to Barclays. This game will be the last of the two-game series between the clubs, with the Ducks coming out on top 3-2 out in SoCal in just the fourth game of the season. A lot has changed since that early October evening. 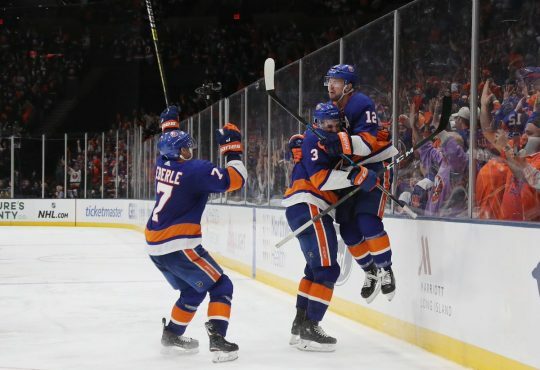 New York has hit their stride and seems to be on the right track, while Anaheim has yet to really turn it on this season, due in large part to being hit with injuries to Ryan Getzlaf — and now Corey Perry. Anaheim has been inconsistent on the road for most of the year, only posting a 6-4-5 mark, while the Isles — already mentioned abundantly — are one of the best home teams in the NHL. New York will also get their first look at Adam Henrique with his new club after seeing him with the Devils for the last seven plus years. 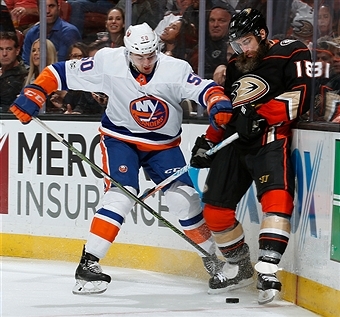 Matchup to watch: The Ducks sturdy penalty kill against the Islanders refined power play. In a rare event, the blue and orange will play a Saturday matinee later this week, where they entertain one of the best in the West in the Winnipeg Jets. This will be the first of two matchups between the clubs in a six-day span, with New York traveling to MTS Centre next Friday evening. Winnipeg — who in a similar fashion to the Islanders, had as tough a start to the year — have turned up the dial and currently own the top spot in the ridiculously-good Central Division. They are getting excellent production from the always-underrated Blake Wheeler, and finally shored up their situation in goal, with the rise of Connor Hellebuyck. Where the Islanders can look for an advantage, is that the Jets have yet to hit their stride away from home, only sporting a 7-7-4 record. 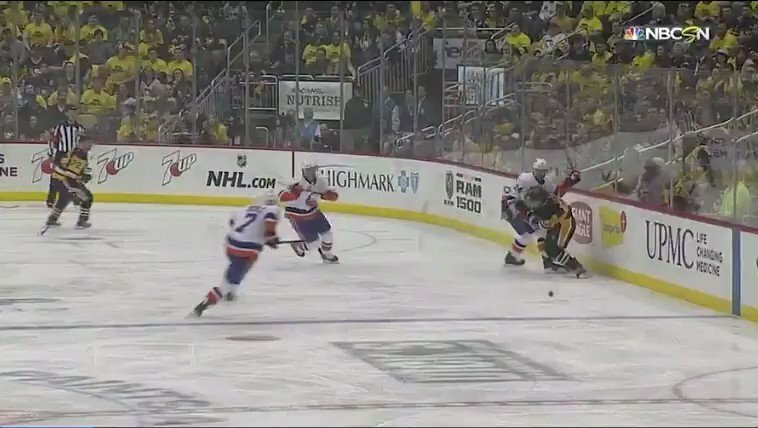 The Isles have always struggled with afternoon games, particularly 1PM starts. But with a club like the Jets coming in, they’ll have to be on their toes from the drop of the puck. Matchup to watch: OFFENSE! Two teams in the top-five in goals for/per game, expect a barn-burner.